A return to growth was recorded across key sectors. 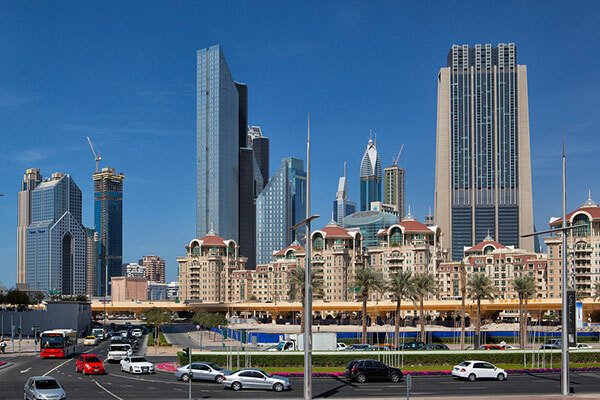 The private sector economy in Dubai, UAE signalled a solid rebound in business conditions during March, following the slight deterioration recorded during the previous month, according to the Emirates NBD Dubai Economy Tracker Index. The seasonally adjusted Index– a composite indicator designed to give an accurate overview of operating conditions in the non-oil private sector economy – rose to 52.5 in March, up from 48.9 in February. Moreover, the latest reading pointed to the fastest improvement in business conditions since November 2015, largely reflecting renewed output and new order growth alongside a slight acceleration in staff hiring. A return to growth was recorded across all three key sub-sectors monitored by the survey in March. Travel & tourism was the strongest performing category of activity, followed by wholesale & retail and construction. The headline Emirates NBD Dubai Economy Tracker Index is derived from individual diffusion indices which measure changes in output, new orders, employment, suppliers’ delivery times and stocks of purchased goods. A reading of below 50.0 indicates that the non-oil private sector economy is generally declining; above 50.0, that it is generally expanding. A reading of 50.0 signals no change. Private sector companies in Dubai pointed to a robust expansion of business activity during March, with the rate of growth the fastest for four months. Anecdotal evidence suggested that more favourable economic conditions, the launch of new projects and a recovery in clients’ willingness to spend had all contributed to the rebound in overall business activity. Job creation was maintained across the private sector in March, thereby continuing the current period of expansion that began at the start of 2012. Although still subdued in comparison to the long-run survey average, the latest upturn in employment numbers was the fastest since November 2015. New work received by private sector companies in Dubai returned to growth in March, signalling a rebound from February’s marginal decline. A number of firms cited stronger than expected sales wins, supported by successful marketing and promotional strategies. All three key sub-sectors recorded an upturn in overall new business. Meanwhile, survey respondents were much more upbeat about the business outlook in March. Around one-third of the survey panel anticipate an upturn in business activity, while only 4 per cent forecast a fall over the year ahead. As a result, business confidence was the highest since September 2015, with firms pointing to hopes of an improvement in underlying economic conditions. Input prices were broadly stable across the private sector in March. However, this masked a divergence across the key sub-sectors; construction and wholesale & retail firms recorded input price pressures, while travel & tourism companies signalled a reduction in their average cost burdens, according to the Index.